Dr. Michael Callton, a third-term Michigan state representative, has been appointed to chair the House Health Policy Committee. Callton is the first DC elected to the Michigan Legislature. 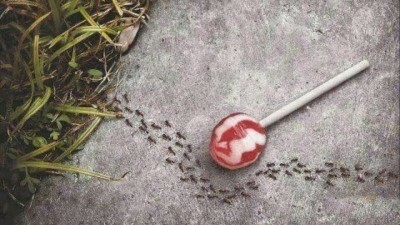 Roaches and ants won’t eat it, cats and dogs won’t eat it, even house flies won’t eat it — but the FDA (Food and Drug Administration) serves Aspartame to you with their approval and the approval of the Monsanto Chemical Company. The FDA and the CDC (Centers for Disease Control) have received nearly 7,000 complaints, including five deaths, attributed to the use of aspartame in food products since the FDA first permitted limited use in 1981. A number of researchers and doctors around the country object not only to the product itself, but to the questionable preliminary research that led the FDA to approve it’s use. Bills to Require Payment for All Services Legally Delivered Under Michigan’s Chiropractic Scope of Practice Introduced in Michigan Senate! Make your voice be heard! The MAC – through it’s online grassroots partner CAPWIZ – has made it very simple for you to contact your lawmakers regarding this critical issue. Just go to www.chiromi.com, scroll down to the “Write Your Legislators” box, put in your zip code, and “Take Action” under “Patient Equity Act.” It’s fast, easy, and will make a difference! Two great friends of chiropractic in the Michigan Senate – state Senator Mark Jansen (R-Gaines Township) and state Senator Mike Nofs (R-Battle Creek) – have introduced legislation that would require insurers to pay for all services legally performed under Michigan’s new chiropractic scope of practice, regardless of whether or not the service was allowed under the former scope. The package of bills – known together as the “Patient Equity Act” – has been referred to the Senate Insurance Committee. The bills would remove the language added by five trailer bills to our new scope of practice legislation that allow insurance companies to avoid paying for new services DCs gained the right to perform in 2009. These five bills – which were strongly opposed by the MAC – were added by the insurance industry as a condition of their passage. Senate Bill 4, introduced by Jansen, would apply to prudent purchaser agreements and eliminate the authority to refuse reimbursement for certain chiropractic services. Senate Bill 12, introduced by Jansen, would apply to personal protection insurance coverage and eliminate the authority to refuse reimbursement for certain chiropractic services. Senate Bill 160, introduced by Nofs and co-sponsored by Jansen and state Senator Jim Marleau (R-Lake Orion), would apply to health care corporations and eliminate the authority to refuse reimbursement for certain chiropractic services. 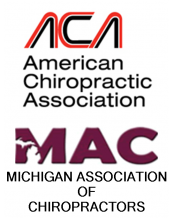 Senate Bill 161, introduced by Nofs and co-sponsored by Jansen, would apply to Michigan’s workers; compensation system and eliminate the authority to refuse reimbursement for certain chiropractic services. Background. In 2009, the Michigan Legislature passed legislation that brought Michigan’s chiropractic scope into line with the rest of the nation, allowing, among other things, the adjustment of the extremities, differential diagnosis, and the use of physical measures. Michigan’s previous chiropractic scope, which completely ignored the scientific basis behind chiropractic and prevented doctors of chiropractic from treating patients as they were educated and trained, was the most restrictive in the nation. The scope legislation was part of a package that included bills that state insurance carriers may reimburse for the new services allowed under scope restoration. Following requests from special interests, they were “tie-barred” by the Legislature to the scope bills, meaning that the scope bills could not take effect unless the other bills were also enacted into law. Similar legislation has been tacked on to all other major attempts to enhance a health care profession’s scope of practice, such as when the optometrists successfully changed their scope in the 1990s. NOW is the time to rescind these bills, which discriminate against doctors of chiropractic and their patients! Get involved TODAY and contact your lawmakers on this critical issue! Jan. 15, Cambridge, Mass. – A 2012 report issued by Harvard Medical School endorses chiropractic for patients with short and medium term low back pain (LBP). Forward head posture, or “Text Neck,” can cause nerve pain or lead to metabolic problems, doctors say. (CNN) — Chances are you’re reading this while leaning over a table or slumped back in a chair. Your head is tilted forward; your shoulders are curved. Fishman originally coined the term in 2008 while examining a 17-year-old patient. The teen came in complaining of headaches and neck pain. As Fishman was trying to explain to the patient’s mother exactly what the problem was, he glanced over and saw her posture. The teen was sitting in a chair, hunched over her smartphone, texting away. “I knew I had something,” Fishman says. The average human head weighs 10 pounds in a neutral position — when your ears are over your shoulders. For every inch you tilt your head forward, the pressure on your spine doubles. 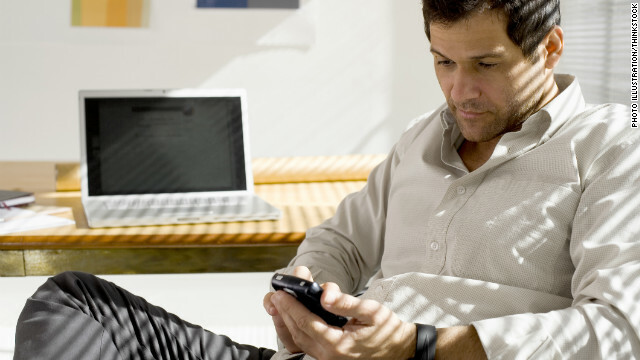 So if you’re looking at a smartphone in your lap, your neck is holding up what feels like 20 or 30 pounds.